Elm Park Community School is an extremely important resource for the neighborhood. Nearly 500 kids attend the school each year, and as a K-6th grade school, Elm Park serves these kids during their most formative period in childhood. 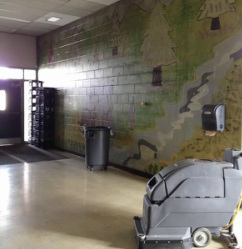 In our visits to Elm Park, the school space that stood out as the most in need of a renovation was their cafeteria. The school uses the cafeteria as a lunchroom, theater, gathering hall, and space for after school tutoring and programs. 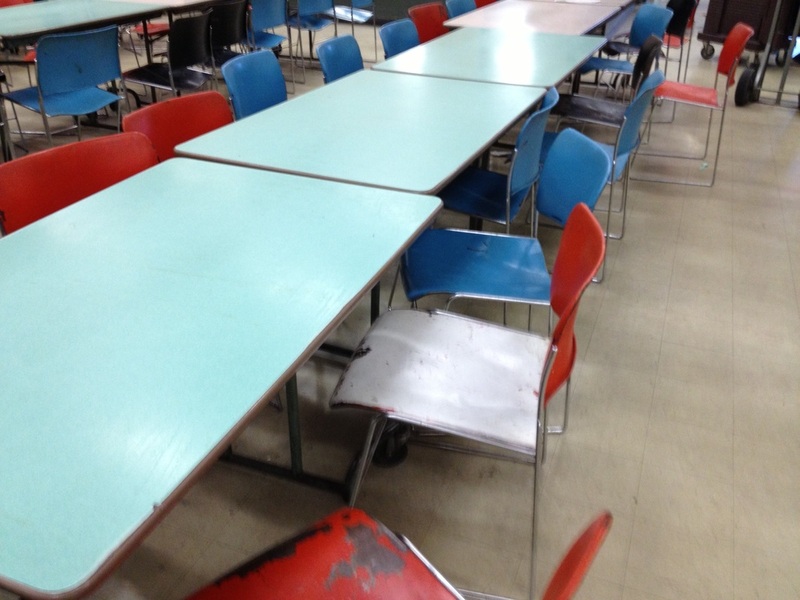 Before Working for Worcester, the kids were forced to use old, broken-down tables from the 1970s, of which the school didn’t even have enough to seat all the kids at lunchtime. 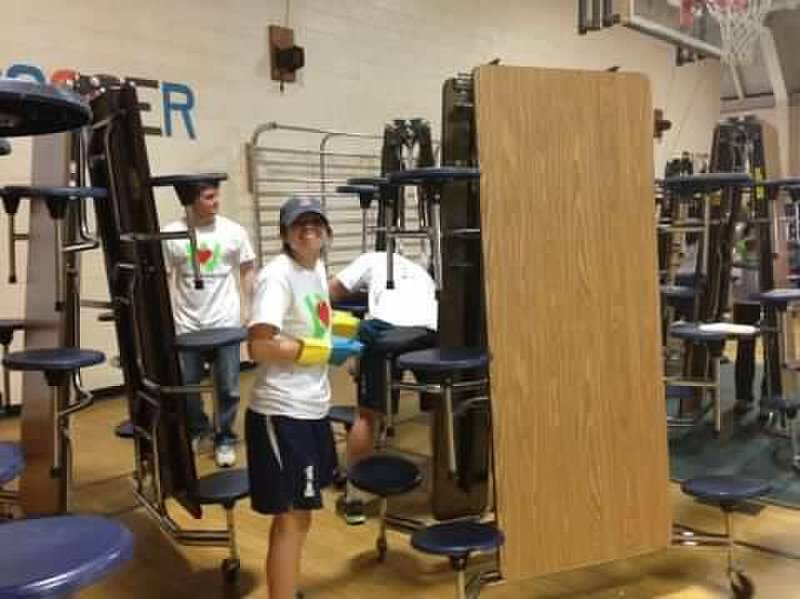 To tackle this problem, WforW got creative and found 20 commercial cafeteria tables for the space, repaired them, and set them up in the new dining room. Art students came to play, designing and painting an incredible mural on the cafeteria’s wall. The mural features all the logos of the 12 colleges and universities in Worcester, centered around a Dr. Seuss quote in the middle: "You have brains in your head, you have feet in your shoes. You can steer yourself any direction you choose…" Volunteers also cleaned the school and did trash pick-up and basic landscaping around the school grounds. The WforW team is humbled to have gotten the opportunity to work with the inspiring children and staff at Elm Park School. 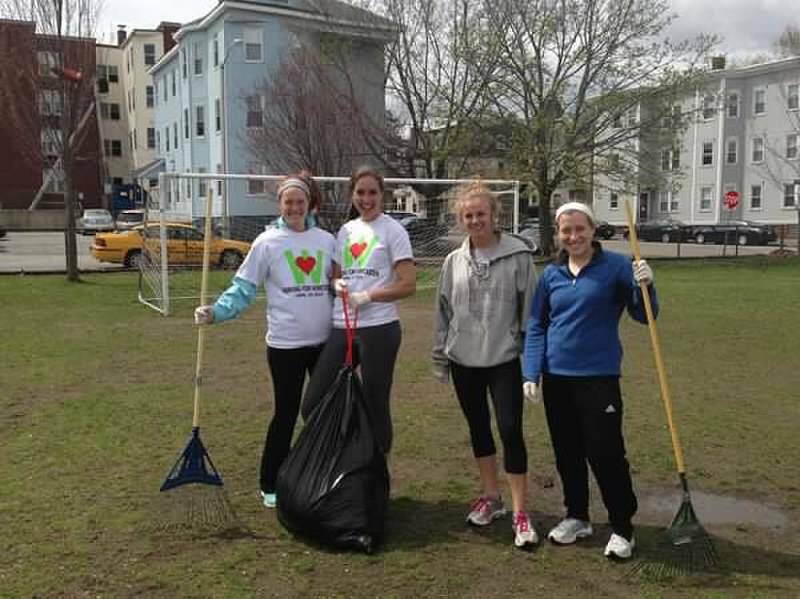 Cite co-managers, Alex Femia and Brittany Geoffroy planned and coordinated all aspects of the Elm Park School project. To learn more about Alex, Brittany and the rest of the managing team, click here.